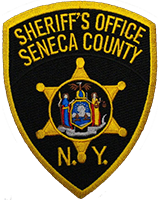 The Seneca County Sheriff’s Office reports that, on November 17th 2018 at about 2:34AM, Deputies responded to the Del Lago Casino in the Town of Tyre for the reported 2 car property damage accident. Upon arrival, Deputies located the accident in the parking garage and found that Ghana S Karki, age 23 of 3850 White Swan Drive in Rochester NY, had been removed from the casino by security for being intoxicated. Karki then got in his vehicle and while attempting to leave the casino, backed into a parked car in the parking garage, causing damage to both vehicles. Karki attempted to leave the scene of the accident but was stopped by security personnel at Del Lago, who had witnessed the incident, and held Karki until Deputies arrived. During the course of the investigation, Deputies determined that Karki had been operating a motor vehicle while under the influence of alcohol and he was taken into custody , and also was found to have been in possession of marihuana. Sheriff’s Deputies charged Karki with Unsafe Backing, DWI, having a BAC of .08% or more and unlawful possession of marihuana. Karki was held in the Seneca County Jail to await arraignment in the Centralized arraignment court . He is to appear in the Town of Tyre court on a later date to answer the charges.